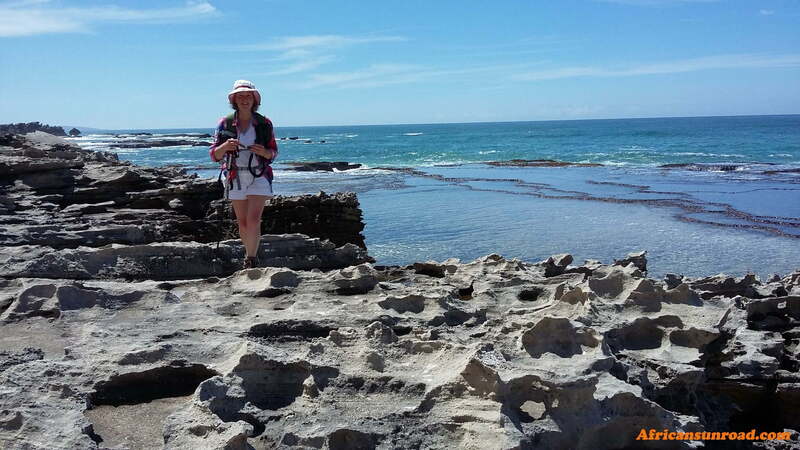 Due to its immense popularity, the De Hoop Whale Trail is very difficult to secure. Bookings are made 1 year in advance through Cape Nature. 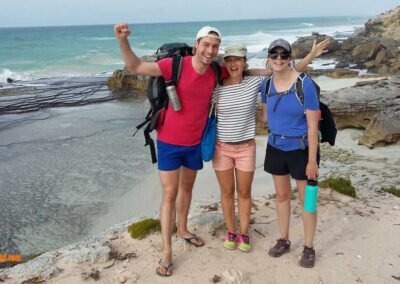 The Whale Trail Hike is a 6 day 5 night coastal wilderness hiking trail in one of the planet’s most beautiful & ecologically diverse floral kingdoms, the De Hoop Nature Reserve in the Western Cape, South Africa. 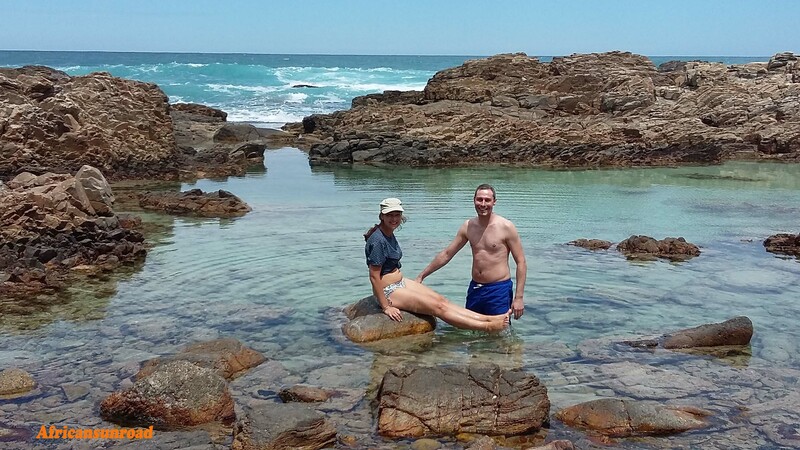 Professionally guided by FGASA Field and Marine and Cape Tourism guides husband and wife team Ralph and Gill. Both with 9 years of guiding experience, we have done 15 Whale Trails for local and international guests with great success. 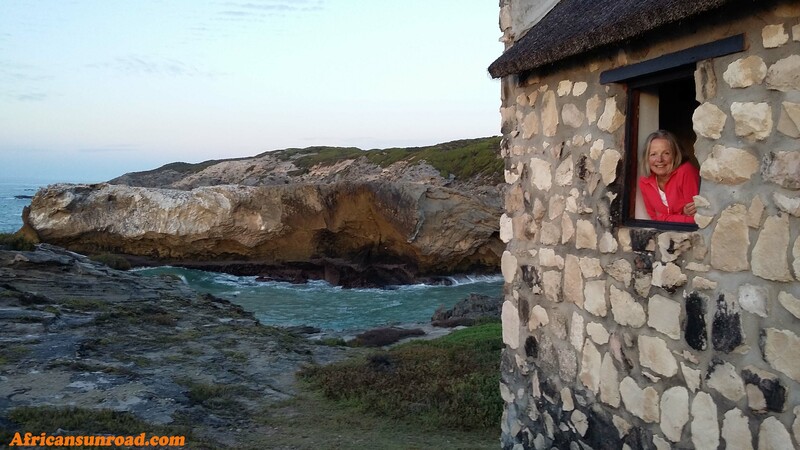 De Hoop Whale Trail start is at Potberg – Welcome to De Hoop! 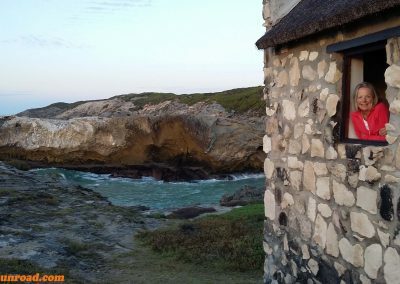 Your adventure begins .We all meet at Potberg Hut in the De Hoop Nature Reserve at around 14h00 on the set date. 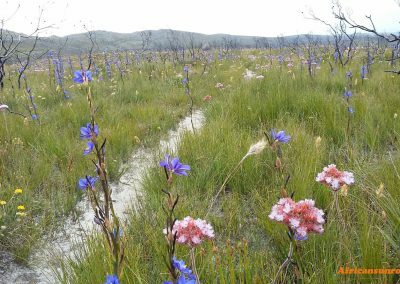 After checking –in, you will have some time to orientate yourself and soak up the setting of the Potberg Hut. Sitting under the Southern Cross, enjoying the night sky you will treated to a traditional SA braai (barbecue) paired with regional wines. Thereafter a thorough briefing of the hike and what can be expected on the trail will be given by the guide. We rise early for a hearty breakfast, fueling for our Potberg ascent on the first day of De Hoop Whale Trail. 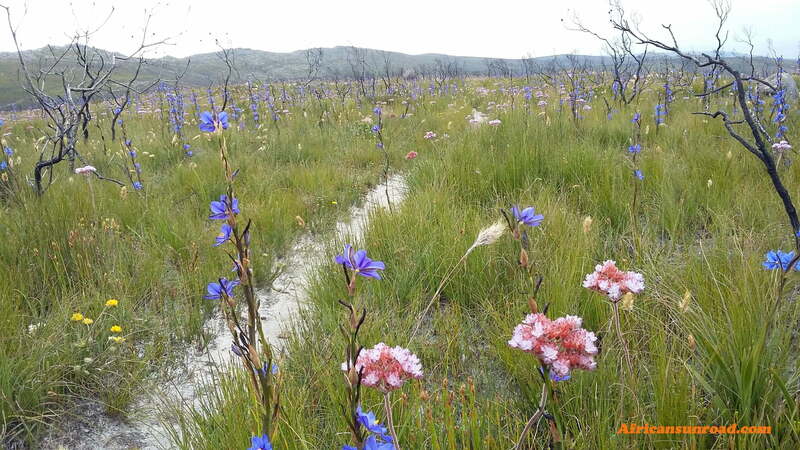 The climb to the highest point of the trail is fragranced with fynbos of the Erica and protea species, many of which are found nowhere else in the world. Keep your eyes peeled for the gliding Cape Vultures and at the top we take time out to marvel at the view over some well deserved refreshments. 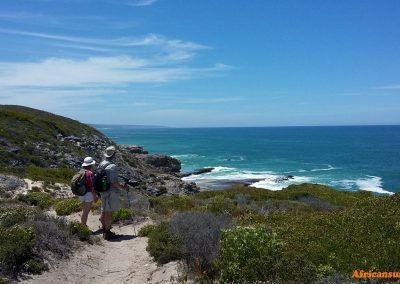 The De Hoop Whale Trail follows the crest of the Potberg through mountain fynbos with unequaled views of the Indian Ocean and the Breede River. 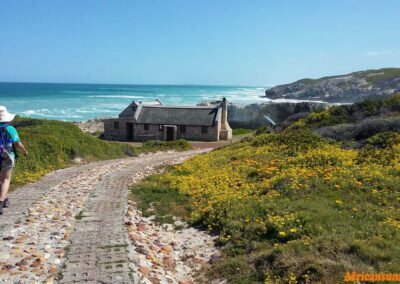 The route finally exits Potberg and leads onto limestone hills with strikingly different fynbos, then descends to the enchanting bay of Noetsie as we arrive at the coast. 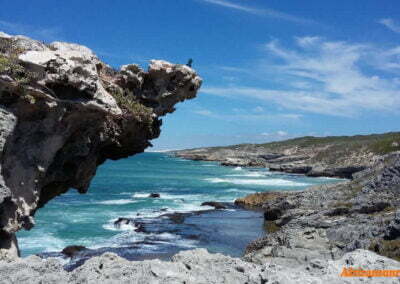 Day 3 of the De Hoop Whale Trail, the breathtaking viewing of whales & dolphins from the cliffs, ancient shell middens and caves , make this stretch of coastline an adventurers’ paradise. 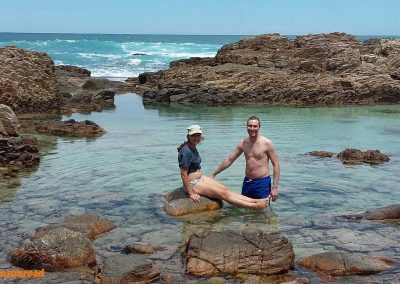 We lunch at Stilgat and take time out to cool off in the rock pools & explore the caves. 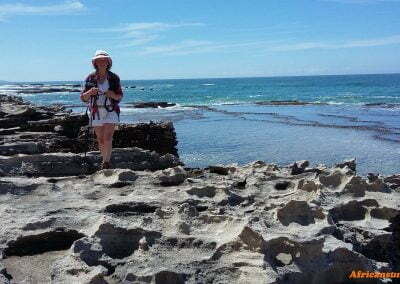 On day 4 of De Hoop Whale Trail most of the day is spent walking on the white beach sand. Spot the shy oyster catchers and white-breasted cormorants as they bask in the sun and observe the remarkable inter tidal pools, calcrete formations and blow holes. The last stretch to Vaalkrans ambles through diverse coastal vegetation before we reach our accommodation situated on top a cave . 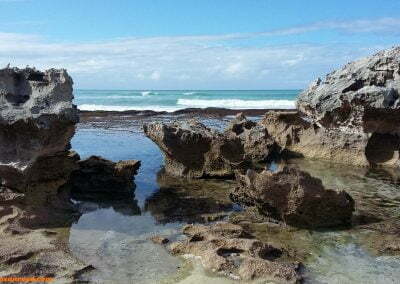 Because Day 5 of the De Hoop Whale Trail is a short final day walk, we have ample time to admire the scenery, swim and explore the stunning Hippo Pools. In whale season anything up to 50 whales can be seen in this vicinity. 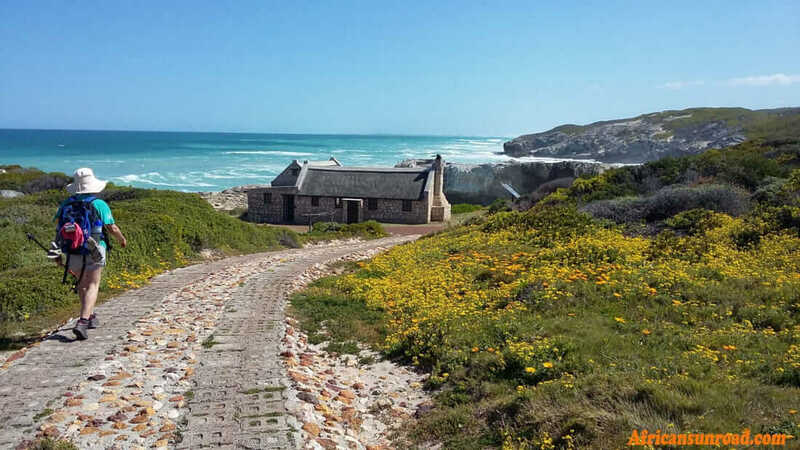 From Koppie Alleen we are taken by shuttle back to Potberg Hut at the start of De Hoop Whale Trail, where we collect our luggage and say goodbye to the jewel of Cape Nature’s Floral Kingdom– The De Hoop Nature Reserve. What is the trail going to cost me? Whale Trail Price. R10 500.00 per person. 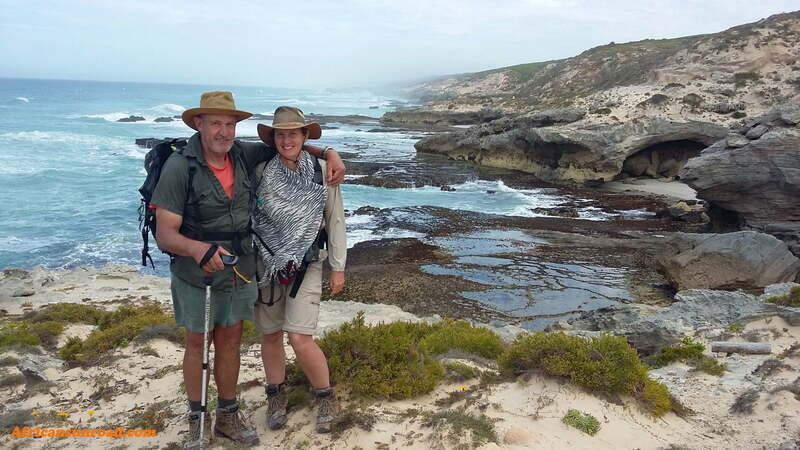 Professionally guided by FGASA Field and Marine and Cape Tourism guides husband and wife team Ralph and Gill. Both with 9 years of guiding experience, we have done over 15 Whale Trails for local and international guests with great success. At R1750 per person per day – including accommodation, fully catered and and guided, its a steal. 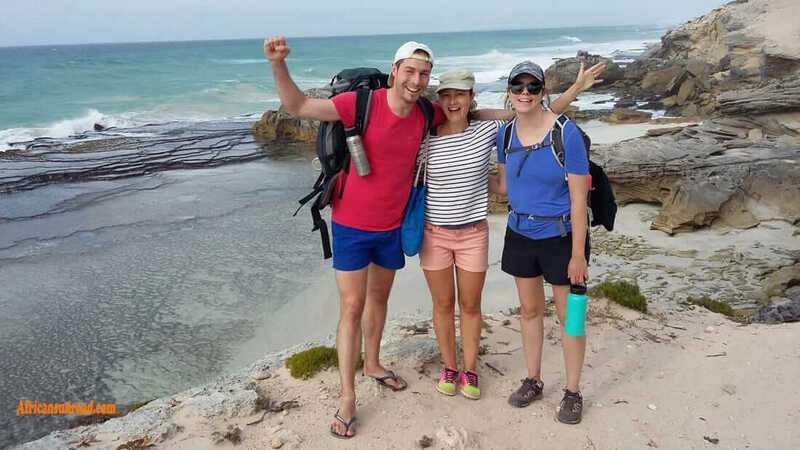 OUT OF SEASON SPECIAL April 7 TO 12 – 2020 The same great hike as in season but without the Southern Right Whales, however we may get to see the Bryde’s Whales and the usual pods of Dolphins. 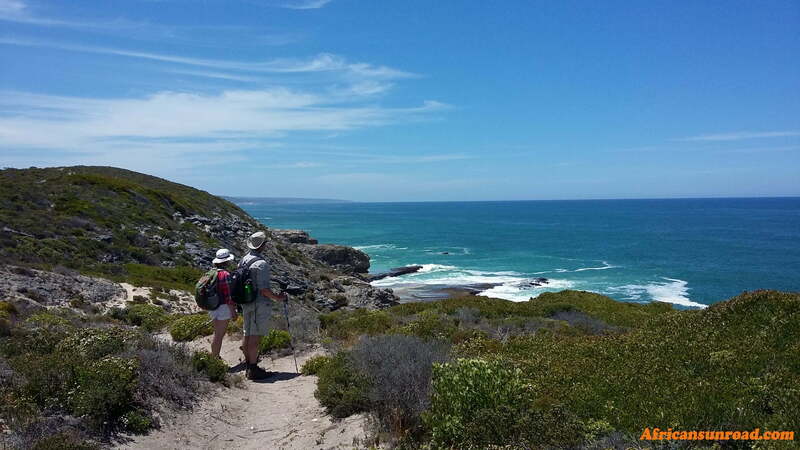 Because the Whale Trail Hike is so popular and difficult to book for, bookings must be made 1 year in advance. If you have have a preferred date in mind we will try your best to secure a booking for you, or slot you onto one of our existing booked trails. Unfortunately the Cape Nature Whale Trail is closed for most of this year. Initially it was to be closed from 1Jan 2019 to 30 July 2019 but they extended the dates to end October and canceled our booked trails from August onward. We therefore canceled our November/ December bookings because of the uncertainty of the finish date – things happen very slowly in the Cape and Cape Nature is another story all together. We have just discovered on 1 March that the Whale Trail is closed from 1 Jan 2019 until the end March 2020. 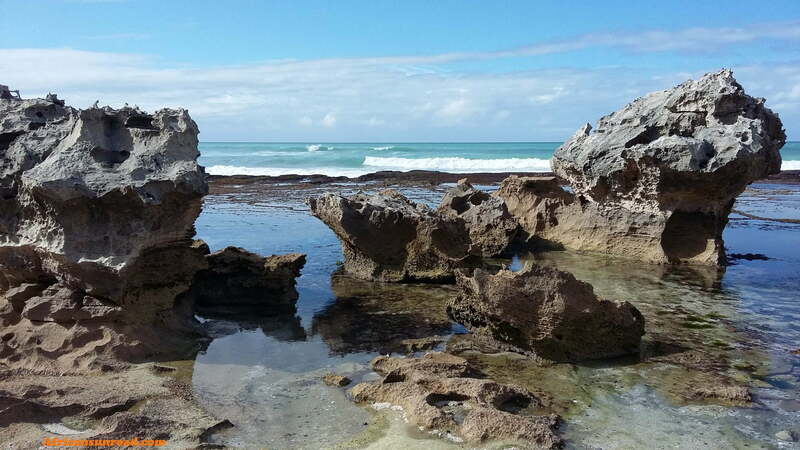 We have put together exciting options to fill the gap, we call them Hermanus Rambles. 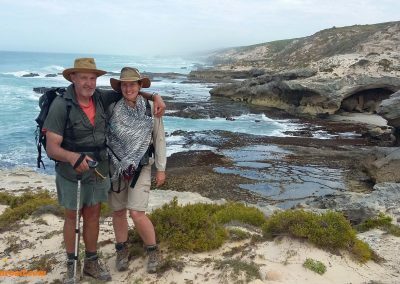 Gill and I are Hermanus residents with 15 Whale Trails between us, so we know what the trail offers regarding the Potberg Mountain hike and the coastal cliff part of the trail. 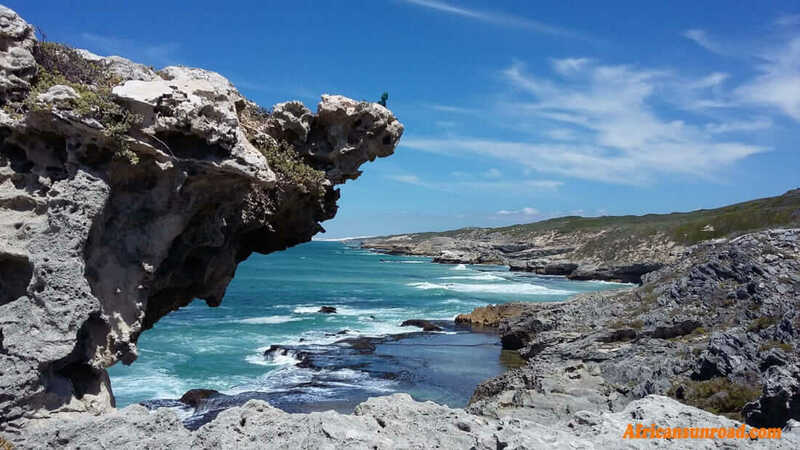 We have tried to create a similar whale viewing experience, combined with mountain Fynbos, cliff and beach hikes similar to the De Hoop Whale Trail. Hermanus is known for the best land based whale viewing in the country because the whales come so close to the cliffs of Hermanus. 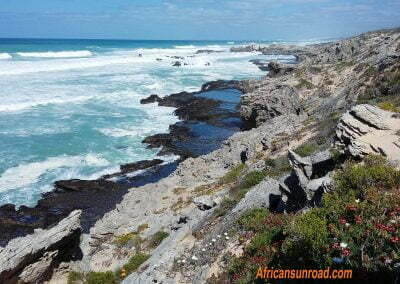 De Hoop Nature Reserve is 230 km from Cape Town International airport. (Transfer to & from Potberg for your own cost, can be arranged). Please ensure that your flight arrives in the morning and get to Potberg at around 14h00. The route stretches over 58km from Potberg to Koppie Alleen and includes 5 overnight stops. Trail limit is 12 people per trip (10 guests) and is termed “slack-packing”, a term used when one has the convenience of a portage facility. Hikers need only to carry a small day-pack with water, camera, rain jacket, sun screen etc. The trail is exclusive in that you will not meet other hikers on the trail. Accommodation on the trail is in a series of cottages with mostly 3 bedrooms with 4 bunk beds each. A 60 liter container is issued to each person for personal belongings and this is transported to the next overnight stop. 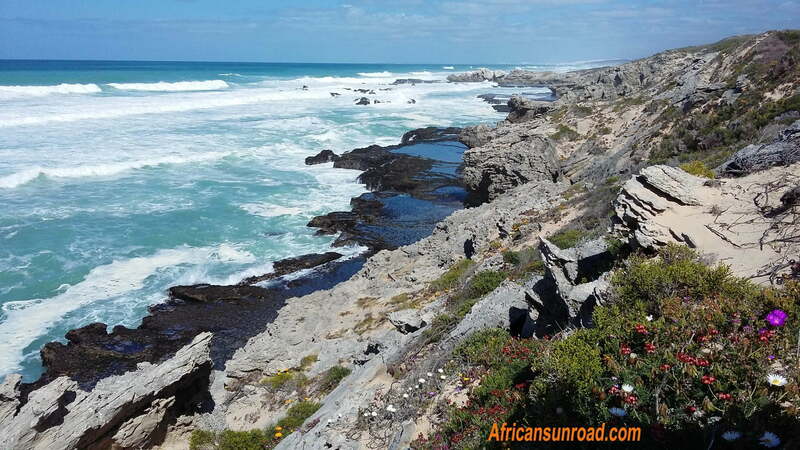 Walks in and around the Hermanus/Overberg region.